I saw some of the stellar promos for Trump’s segment with such lines as: “The Donald now makes his voice loud and clear on Fox.” Boy, they must have gotten some huge powerhouse agency to think that one up. While Fox has never been one to shy away from controversial on-air people, I can’t quite get a handle on what Trump can bring to the news table. Unless it is just basically Trump wanting face time in case he decides to run for president and Fox wanting more ratings for their coffee klatch with Steve Doocy, Gretchan Carlson and Brian Kilmeade. I don’t watch the trio on Monday mornings or any other morning but the idea of listening to Trump with my coffee first thing in the morning is not my idea of a good wake-up call. Most presidential candidates are distancing themselves from their pundit or “news analyst” roles on TV stations so as not to show any conflict of interest. Newt Gingrich stepped down from his Fox Perch when he supposedly became a presidential candidate. This whole thing leads me to believe that Trump isn’t going to try to run for president at all but is just more of his usual blowhard, look-at-me PR stuff. 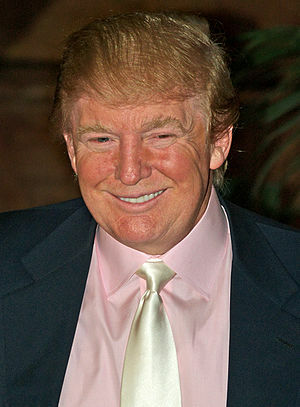 Trump however is not any kind of analyst or commentator or pundit but a mere contributor without a contract that will just be on Fox on Mondays, indefinitely or probably until the regular news crew gets sick of him or the viewers can’t take looking at his hair in the morning or his Celebrity Apprentice show gets higher ratings. Or until some Fox focus group tells him he doesn’t have a chance in hell of running a country if he couldn’t run a casino, and running on a platform that President Obama wasn’t born in the USA just isn’t going to cut it. At least he doesn’t have to worry about being fair and balanced or politically correct or even accurate about anything he says, after all , it’s just FOX. Took Obama a long time to produce his birth certificate. He had to make sure it looked authentic. He’ll fit right in. He can spout all kinds of lies and garbage with his gassy babyface, and faux koolaid slurpers will lap it up. I might even tune in to watch his crazy rants, but I won’t touch the beverage. Hooha! This will be hilarious. He’ll just get on there and spin like Charlie Sheen. Yup! Fair and balanced? Quite the joke. And trump, more of a joke. Birds of a feather.